The body of a fisher that researchers say was poisoned by rodenticides found at an illegal marijuana grow. The rodenticides used on marijuana grows are posing an ever-greater danger to Pacific fishers, according to a recently released study by University of California Davis researchers and Integral Ecology Research Center Director Mourad Gabriel. 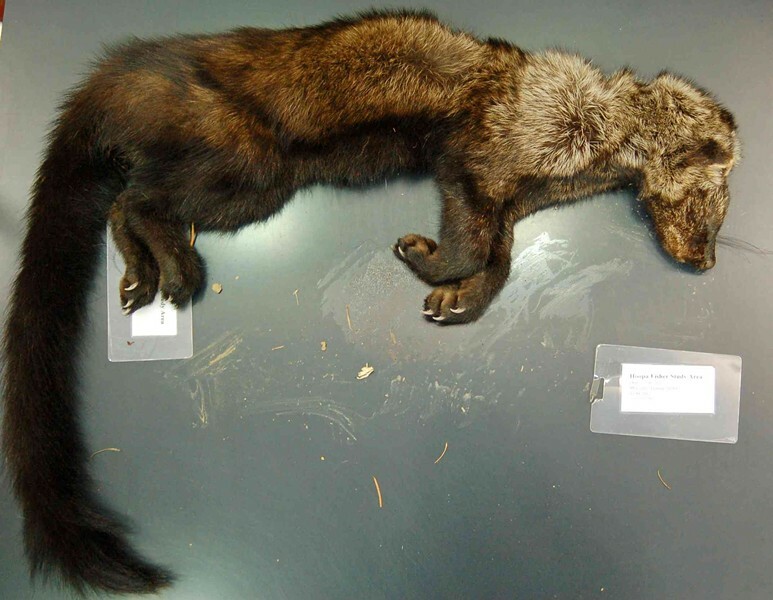 Gabriel has been studying the effects of pesticide use on the medium-size weasel-like species for several years, and concluded that “increasing numbers of fishers are being exposed to and dying from greater varieties of rodenticides found at trespass pot farms,” according to a UC Davis press release. In 2014, Gabriel’s dog Nyxo was poisoned at his home in Blue Lake, a deliberate act that’s widely believed to be retaliation for his research (read an interesting LA Times profile of his work here). Gabriel has continued his work, and the southern Sierra Nevada population of fishers was listed as threatened under the California Endangered Species Act this year. Gabriel’s most recent study looked at 167 fisher deaths between 2012 and 2014, and found that nine of them were caused by poisoning. Exposure to rodenticides increased from 79 percent to 85 percent during the two-year study period. 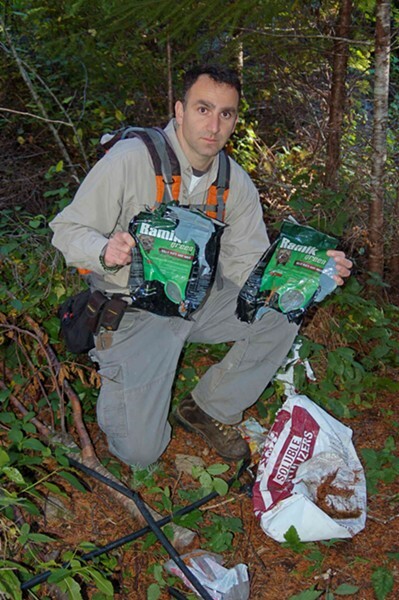 Mourad Gabriel poses with rodenticides found at a Supply Creek grow site in Humboldt County. The situation is growing worse for fishers being poisoned by rodenticides on illegal marijuana grow sites in California, according to a study by a team of researchers led by the University of California, Davis, and the Integral Ecology Research Center, based in Blue Lake, California. 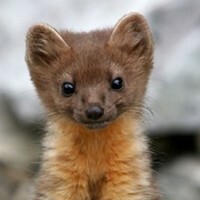 Fishers are midsized weasels that live in isolated forests of California, Oregon and Washington. The West Coast fisher population was proposed for federal listing as a threatened species in late 2014. In 2015, the southern Sierra Nevada population was listed as threatened under the California Endangered Species Act. The study, published Nov. 4 in the journal PLOS ONE, shows that increasing numbers of fishers are being exposed to and dying from greater varieties of rodenticides found at trespass pot farms. Fishers most affected live in the Sierra Nevada range near Fresno and in forests stretching from Humboldt County to Redding in Shasta County. The study was led by Mourad Gabriel, who began the research as a doctoral student with the UC Davis Veterinary Genetics Laboratory and is now director of the nonprofit IERC. Gabriel’s studies in 2012 and 2013 were the first to link rat poison and illegal marijuana farms to fisher deaths, bringing broad attention to the issue. * Nine more poisoning deaths occurred. * Exposure rates to rodenticides rose from 79 percent to 85 percent. * Necropsies confirmed as many as six different rodenticides in one animal. Some of the chemicals found were considered safer alternatives to other commercially available rodenticides, but they nonetheless killed fishers. * Predation caused the majority (70 percent) of fisher deaths, but rat poisoning connected to marijuana grow sites accounted for 10 percent of fisher deaths. * 69 percent of all poisoning cases were in the spring, when fishers mate and raise their kits. The necropsies were conducted at the California Animal Health and Food Safety Laboratory System, or CAHFS, which is part of the UC Davis School of Veterinary Medicine. Anticoagulant rodenticides inhibit the ability of fishers and other mammals to recycle vitamin K. This creates a series of clotting and coagulation problems, which can lead to uncontrollable internal bleeding. The poison, which is often enhanced with bacon, fish and peanut butter “flavorizers,” is scattered around illegal marijuana grows in remote sites to deter pests from the crop. The research team included seven additional UC Davis scientists, as well as researchers from Hoopa Tribal Forestry, U.S. Forest Service-Pacific Southwest Research Station, Wildlife Conservation Society, UC Berkeley, Humboldt State University, and California Department of Fish and Wildlife. Funding for the study came from IERC, UC Davis CAHFS, Hoopa Valley Tribal Forestry, United States Forest Service, National Park Service, United States Fish and Wildlife Service, California Department of Water Resources, California Department of Fish and Wildlife, California Department of Forestry and Fire Protection, The Sierra Nevada Conservancy, Sierra Nevada Adaptive Management Project, and the Bureau of Indian Affairs.